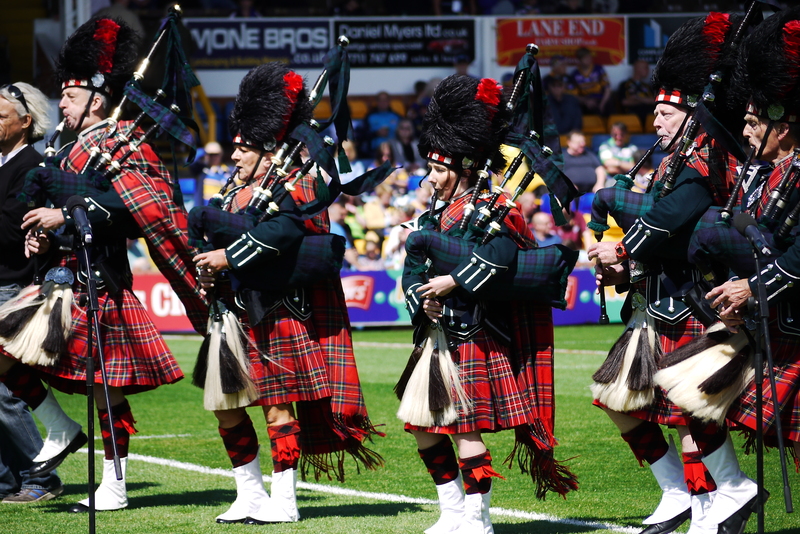 Formed in 1960, the City of Leeds Pipe Band is active throughout Yorkshire. From large events like the Rugby World Cup, the Tour De Yorkshire and ITU Triathlon World Series to galas and fetes. Here you can find news of our upcoming events, who we are and how to get in touch. There are those who say that they do not like the bagpipes, but we at Leeds City Pipe Band believe that there are few who cannot be moved by the sight and sound of a marching band in full Highland Military uniform! 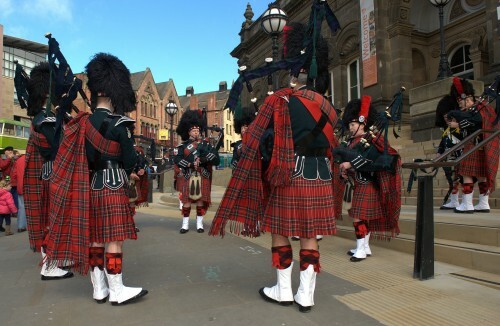 In 1960, The City of Leeds Pipe Band formed as a self-supporting, non-profit making organisation. We participate in many local events across Yorkshire throughout the year, and we now have quite a number of repeat appearances. As well as providing a place to learn the bagpipes or the drums, we are a happy group of people, who enjoy being together and entertaining the public. The pipe band has Championship success to its credit, as well as radio and television appearances and continental tours. We raise funds through our performances to provide practice space, along with maintaining and upgrading our look. Our uniform uses the Royal Stewart tartan, with archer green Military Doublet and feather bonnet with red hackle such as that worn by the Black Watch. It is one of the few bands that you will see still parading in full uniform. To see what we look like, take a look at the gallery. It is volunteers that make up the membership of the band. There is a mixture of ages who enjoy the playing of bagpipes or drums. We would welcome new members either experienced or beginners as tuition is freely available for anyone who has the ambition to play (even if you have never played an instrument before). Our members all have one thing in common: an enjoyment in the playing of bagpipes or drums. Currently, about half our Band are Scots, but nationality and origin are no bar to membership. Bagpipes and drums are ancient instruments which have been played for many centuries in different forms all around the world. With workshops on a Monday and Thursday, the pipe band provides a great support structure for bringing along novices. As well as teaching the music, we offer instruction in comportment and in the essentials of marching in various types of formation. We currently have vacancies for both pipers and drummers, to get in touch see details on contact page. You can also find us on Facebook, Twitter and Instagram. We have a solid organisational structure and an active committee that meet on a regular basis. Particular attention is given to programme content and performance to suit each engagement. We proudly take part in a number of events over the course of the year, so you can see us across Yorkshire and in Leeds. Full band, small groups or individual pipers are available.